A copper kettle going to McMenamins Elk Temple. This is their newest venture. Opening in April 2019. Three cellar tanks are going to Georgia today. Two fermentation vessels and a unitank to our friends at Southern Philosophy Brewing. Enjoy them guys. Two more tanks are headed to Oklahoma tomorrow! We built a 30 bbl fermenter and 40 bbl hot liquor tank for our friends at Cabin Boys Brewery. 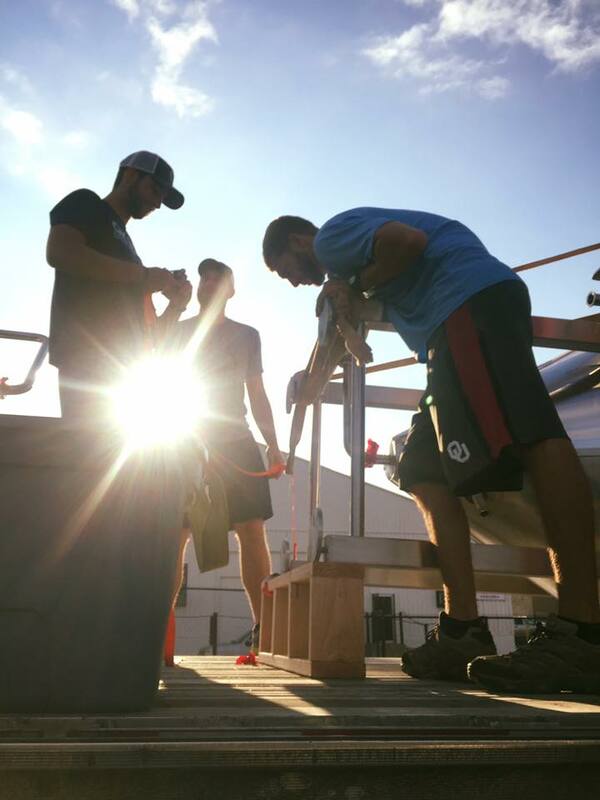 We previously worked with Cabin Boys and built them a custom 10 bbl brewhouse and cellar tanks. We are working on another copper tank for McMenamins! 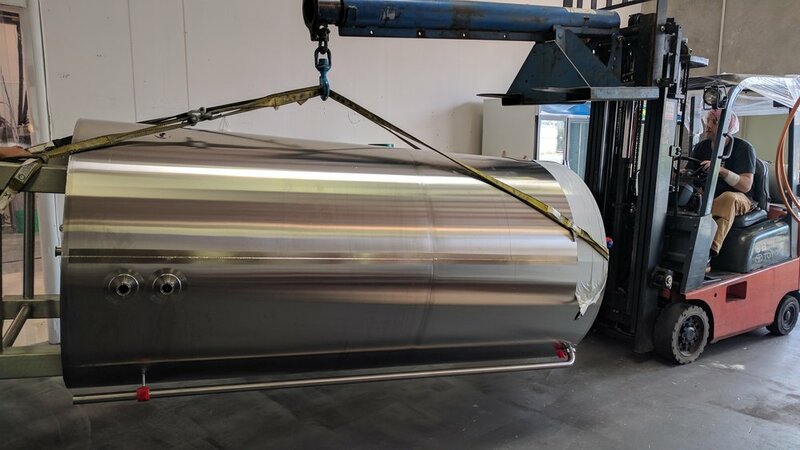 The majority of tanks we build are fabricated with stainless steel. Copper tanks require different gas, filler rod, and procedure for welding. Check out the picture below of Chex adding a manway to the tank. Today we installed an 80 BBL brite tank at Bauman's Cider Company! Bauman's Farm is located in Gervais, Oregon. We are excited to have our tank at a local Oregon company! Cheers to cider and drinking local! This 10BBL brewhouse made it all the way to Lake Placid, New York for Ray Brook Brewhouse. Another brewhouse out the door! This 15BBL brewhouse shipped out to Lewiston, Montana today and will find it's home at Big Spring Brewing. 180BBL brite tanks in the works for Pelican Brewing! Our 7bbl copper brewhouse is complete! We are so excited to work with McMenamins again - this time for their new location in Kalama, Washington! We're sending more goodies to Old Nation Brewing! 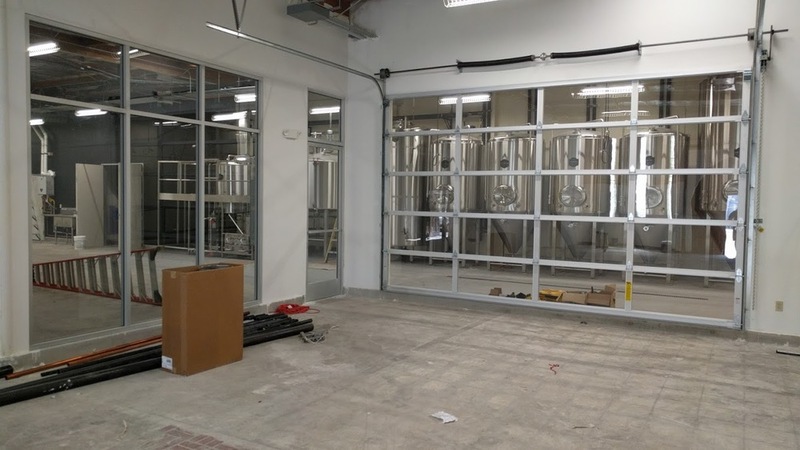 They will soon have a new brewhouse along with 10 and 20 BBL fermenters! Can't wait to see it all in place and brewing their famous M-43 and Boss Tweed brews! These three beauties will soon hold delicious craft cider! 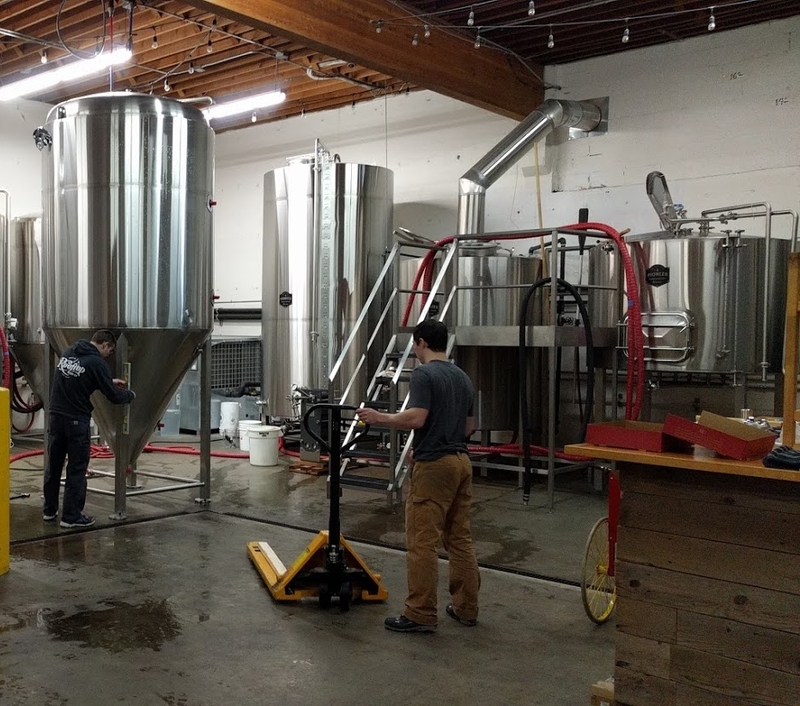 We just installed three single wall 6,500 gallon cider tanks at WildCraft Cider Works in Eugene, OR. We love the look of the exposed jackets! We're sending a 10bbl direct fire brewhouse off to Denton County Brewing Co. today! Happy New Year, everyone! We're off to a busy start this year and are very optimistic about 2018. 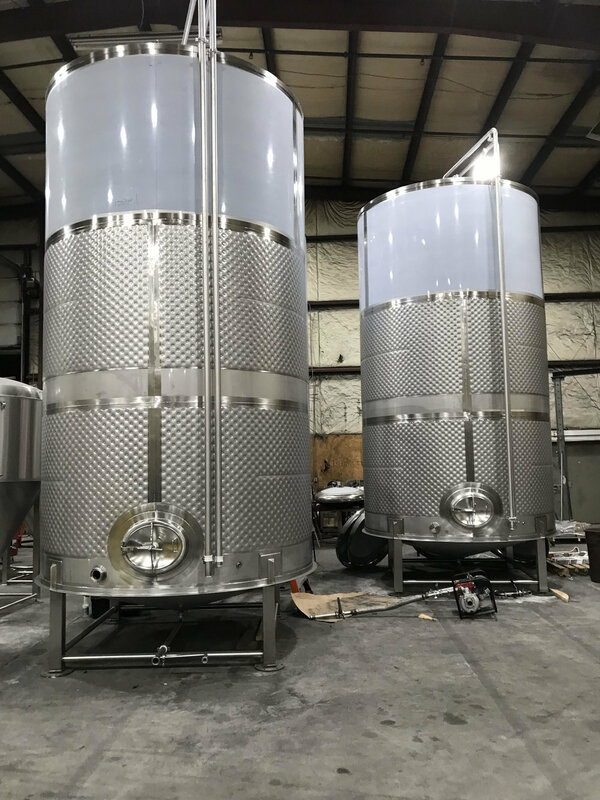 We are currently working on (pictured below) WildCraft Cider Works 6,500 gallon tanks, Denton County Brewing kettle, mash/lauter tun, and hop back, Old Nation Brewing 10 and 20 bbl fermenters, Ray Brook Brewing 10bbl fermenter. We only have a few final touches for this WildCraft Cider Works exposed jacket tank before it's ready to ship! Earlier this year we built WildCraft Cider Works two 100bbl brite tanks. We are happy to work with them again - this time building three 6500 gallon tanks. These tanks are in process in our shop, and will soon be delivered to WildCraft in Eugene, OR. Delivery day! We are so excited to finally be delivering some tanks to West Coast Grocery! Can't wait to have these tanks brewing some tasty Portland beer soon! Touchdown in Croydon, PA! 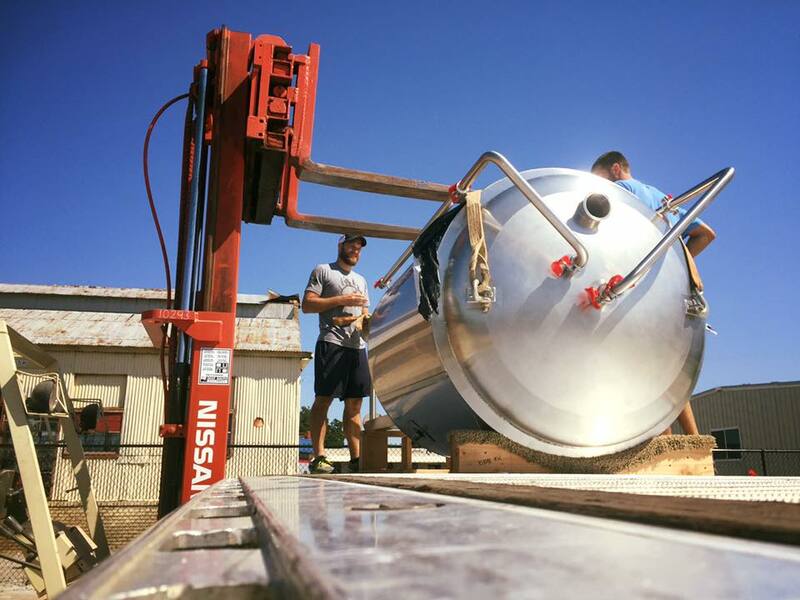 Our 15bbl brewhouse made its way to Neshaminy Creek Brewing Company. Yesterday we shipped a custom 10BBL direct fire brewhouse and two 10BBL fermenters to SunRift Beer Company. 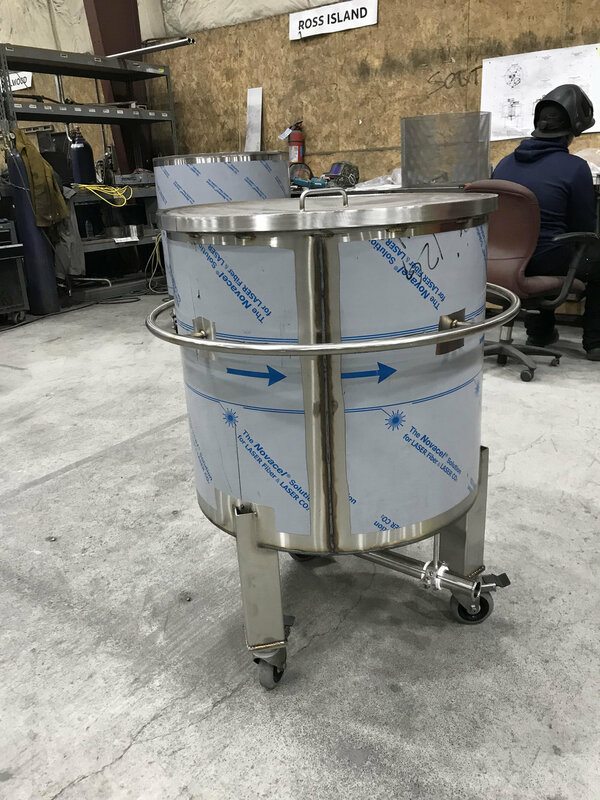 The photos below are of the tanks leaving our fabrication shop yesterday and arriving in snowy Kalispell, Montana today. Shop floor update! These are photos of what's happening on the floor today. Pictured: two 80BBL fermenters, 15BBL kettle, 120BBL fermenter, 15BBL brite tank, two 10BBL brite tanks, and a 5BBL mash lauter tun. Another happy customer! 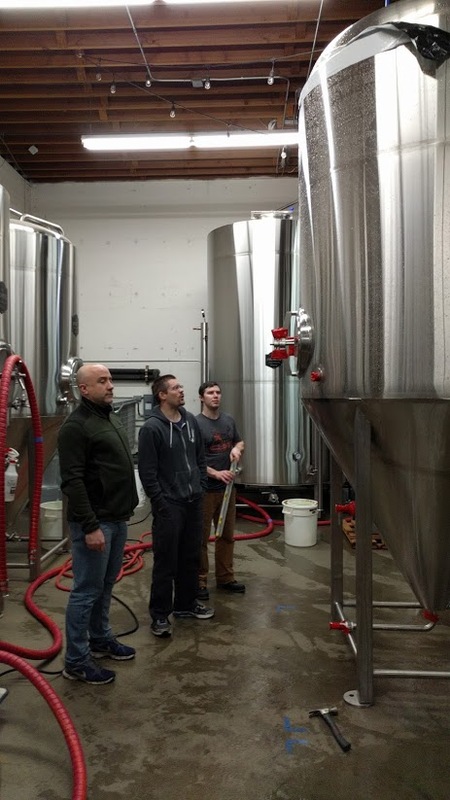 Craig from SunRift Beer Company visited us from Kalispell, Montana to check out his 10bbl system today. Thanks for stopping by, Craig! 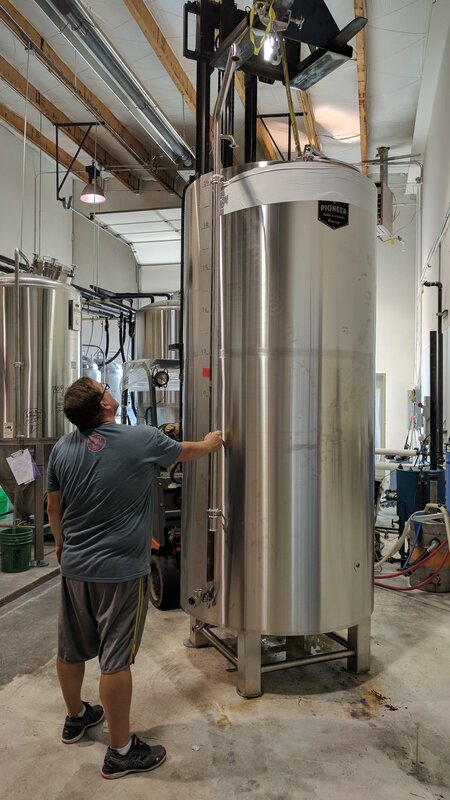 Check out this tiny 3bbl brite tank that we built! This tank is headed to Anchorage Brewing Company. We are excited to have Anchorage Brewing as our first customer in Alaska! Lots of tanks headed out the door today! We sent three truckloads of tanks to There Does Not Exist Brewery in San Luis Obispo, CA. In total, we build four 40bbl fermenters, three 40bbl brite tanks, and two 30bbl fermenters. California friends - be on the look out for beer from There Does Not Exist! The brewhouse is in! Our owner, Kevin, installed Cabin Boy's 10BBL brewhouse last week. 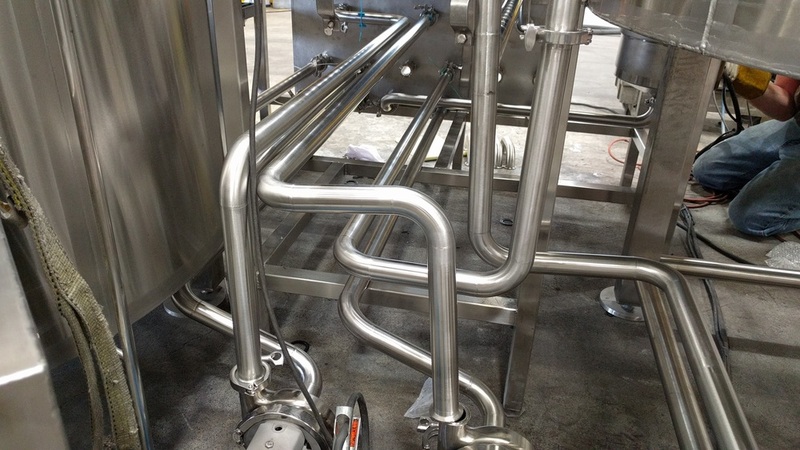 Now they have their full system and are ready to brew beer for Tulsa, Oklahoma and beyond! One of the best parts about our job is seeing customers receive their tanks. Nothing beats knowing that we play a part in helping people build their dream brewery. 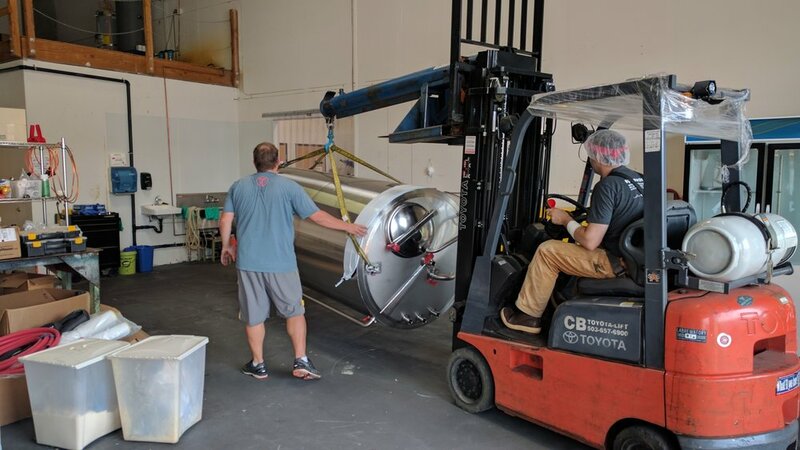 Cabin Boys Brewery received their cellar tanks today. Soon they will receive their brewhouse and will be on their way to brewing craft beer on their custom, American-made brew system! Imperial Organic Yeast is a Portland company that supplies organic yeast to breweries. 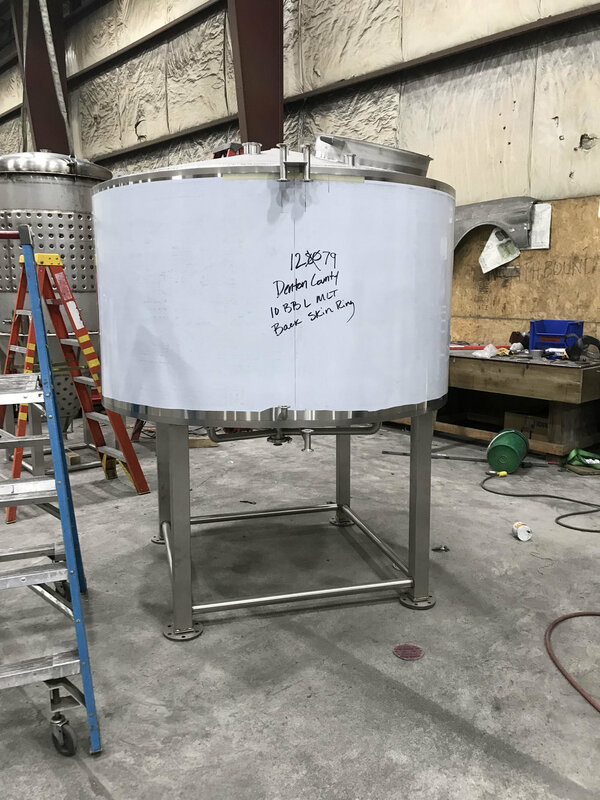 We previously built a 20bbl fermenter for them, and last week we delivered a new 20bbl hot liquor tank to their facility. Check out photos of the hot liquor tank and delivery below. This week we shipped out two 7bbl brite tanks to Norsemen Brewing in Topeka, Kansas. We love working with breweries all across the United States, and we are thrilled to have these as our first tanks in Kansas! Here is a 30bbl brite tank for SeaQuake Brewing. SeaQuake is located in Crescent City, California, and the brewery has been open for a little over a year. You can see more photos of their tank by clicking here. McMenamin's 75bbl fermenter is finished and installed! Check out photos of the completed tank, along with a pretty impressive install picture! We are so excited to be working with McMenamins Brewery! McMenamins breweries have been in Oregon and Washington since 1983. 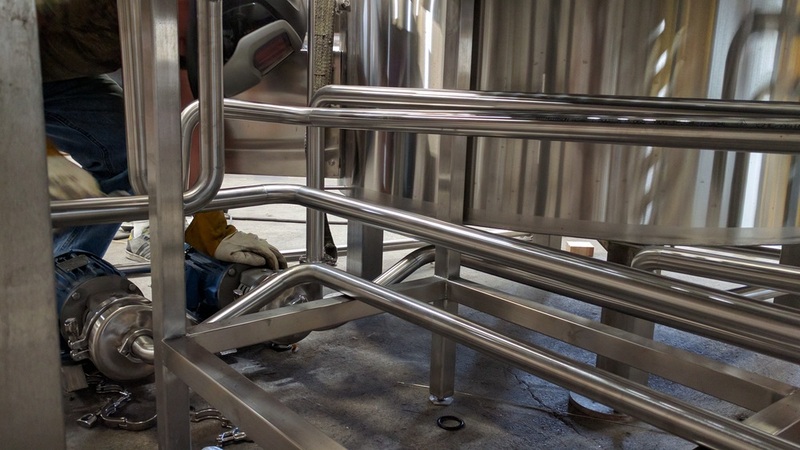 We are currently building a 75bbl fermenter for their Edgefield location. Part of their crew visited our shop last week to see the progress on their tank and to check out the tank building process. Do you want to tour our shop? Call 971.319.6600 to set up an appointment! Yesterday we delivered two 100bbl brite tanks to WildCraft Cider Works. 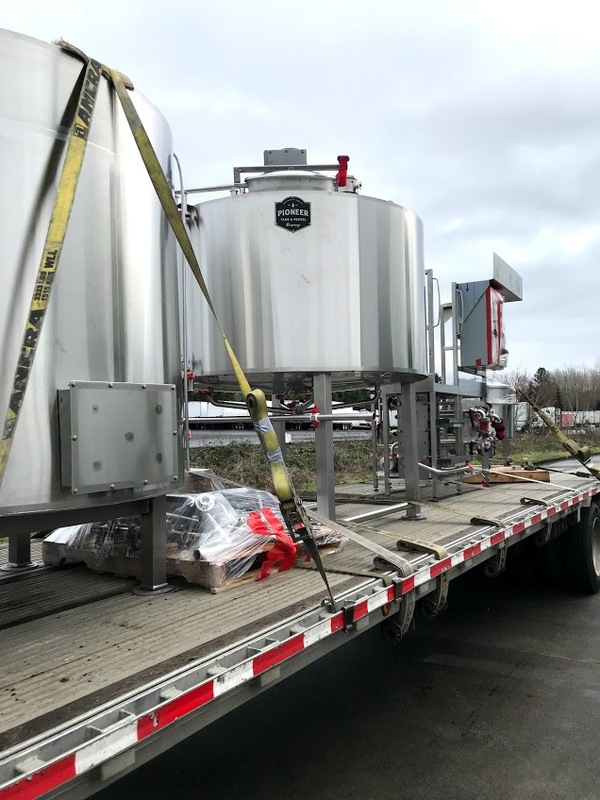 We are thrilled to have more of our tanks in use in Oregon! Check out our happy customers with their tanks below! Kevin is at the Craft Brewers Conference (CBC) in Washington, D.C. this week. CBC is a yearly industry event and trade show. If you are attending, please stop by our exhibitor booth - #2162 and say hi! We would love to meet you! We also have two of our brewhouse tanks on display at booth #3843. 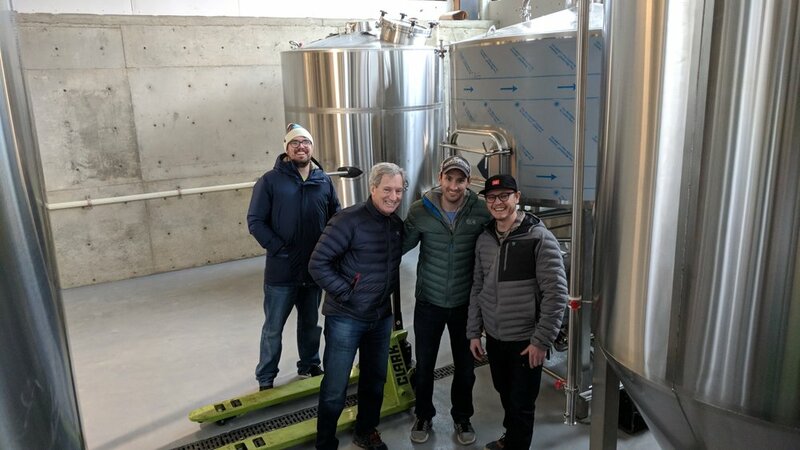 We recently built a 30bbl hot liquor tank for our friends at Center Ice Brewery in Saint Louis, Missouri. See photos of the tank below! 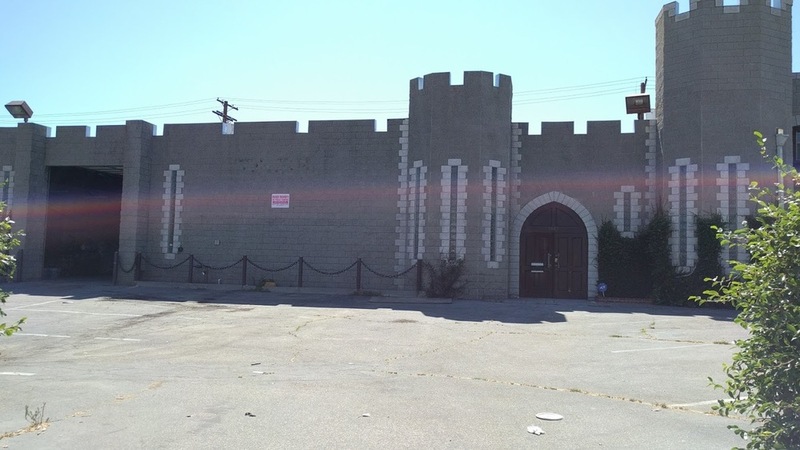 Rooftop Brewing is home to one of Pioneer's first brewhouses. We were happy when they asked us to build them another tank. 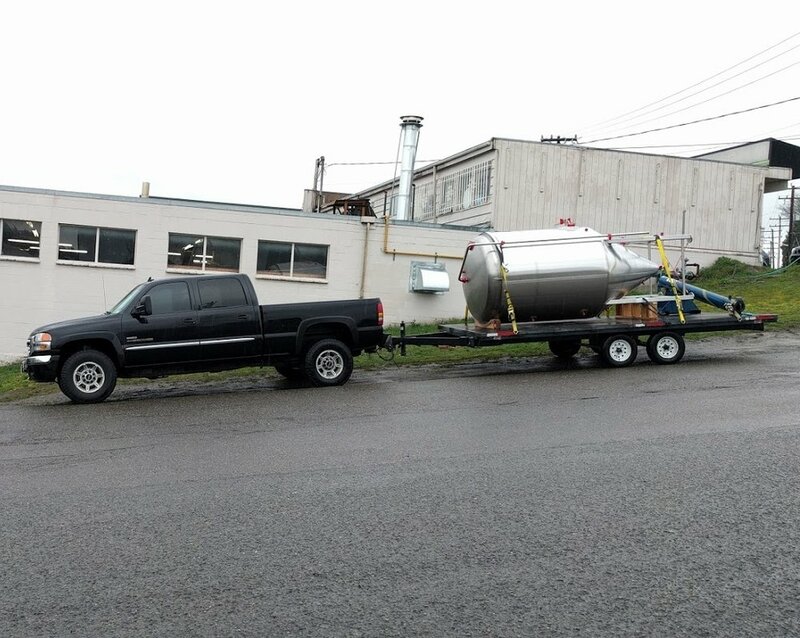 On Monday, Kevin drove to Seattle to deliver a shiny new 30bbl fermenter to their brewery. Check out the delivery pictures below. We are so excited to ship our first ASME certified tank to 10 Barrel Brewing. 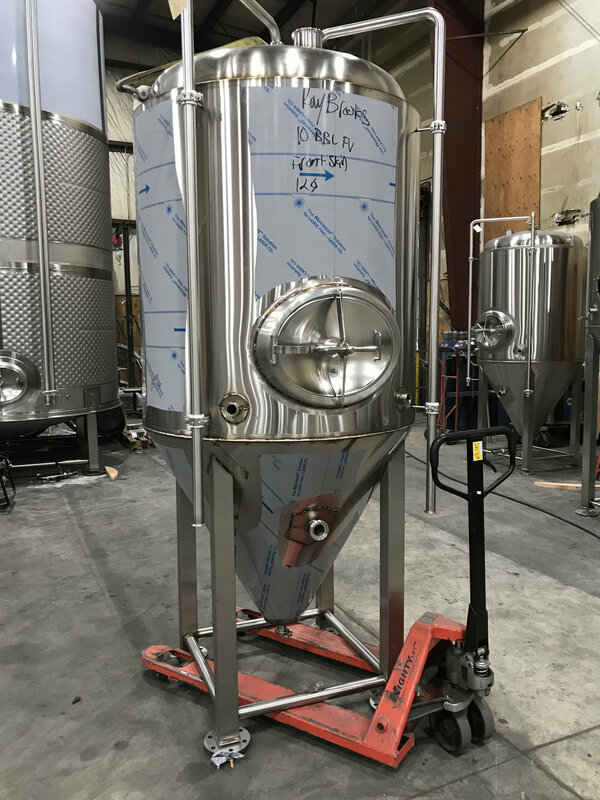 This tank is a 7bbl jacketed brite tank with a bottom-mounted mixer, and it's rated for 65 PSI. 10 Barrel will be using this tank for nitro beer. Steve and Mike are taking home their tanks to Freebridge Brewing today! We are so excited to be a part of their expansion, and can't wait to see what the future holds for Freebridge and these great guys! We built two 30bbl fermenters and a 30bbl brite tank. To see more pictures of the tanks we built, click here: Freebridge Brewing. Happy New Year everyone! This week we shipped out a big order of cellar tanks to Lowes Foods in South Carolina. We built eight 5bbl fermenters and eight stacked 5bbl brite tanks. If you would like to see more pictures of the tanks, click here. Today we shipped two 60BBL fermenters to Three Creeks Brewing down in Sisters, Oregon. We previously built a small multi-purpose mobile grant for them, and we are happy to have them as returning customers. Can't wait to see these tanks up and running! 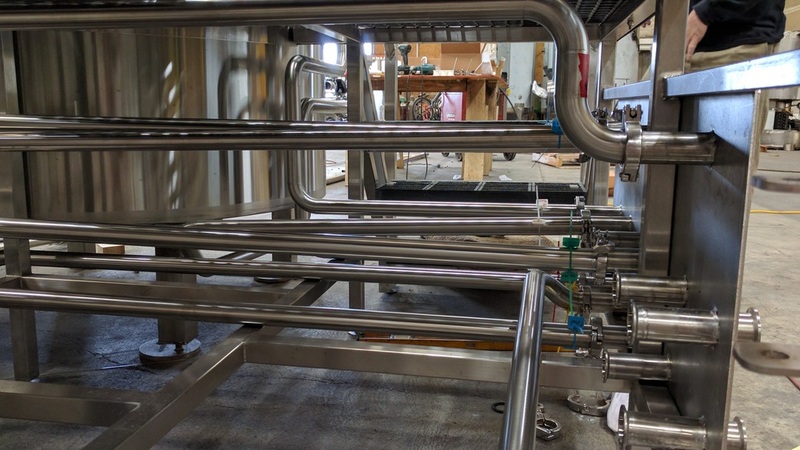 We are so excited to be working on a custom brew system for a new Portland brewery - Bodega Beer Co. There has been a lot of progress on their tanks these past few weeks. Bodega will be open early 2017! We have a new, insulated and clad 20BBL Hot Liquor Tank for sale immediately! Optional 20KW heating element for an additional cost. Please email pioneertankco@gmail.com or call 971.319.6600 for details. It's been a busy few weeks. Below are pictures of tanks we are working on right now. Pictured: 100bbl brite tank, 30bbl brite tanks, 15bbl fermenters, 5bbl fermenters, and a kettle. Today we shipped two 60 BBL fermenters to Neshaminy Creek Brewing Company. We've worked with them before, and we were happy to build more tanks for them. 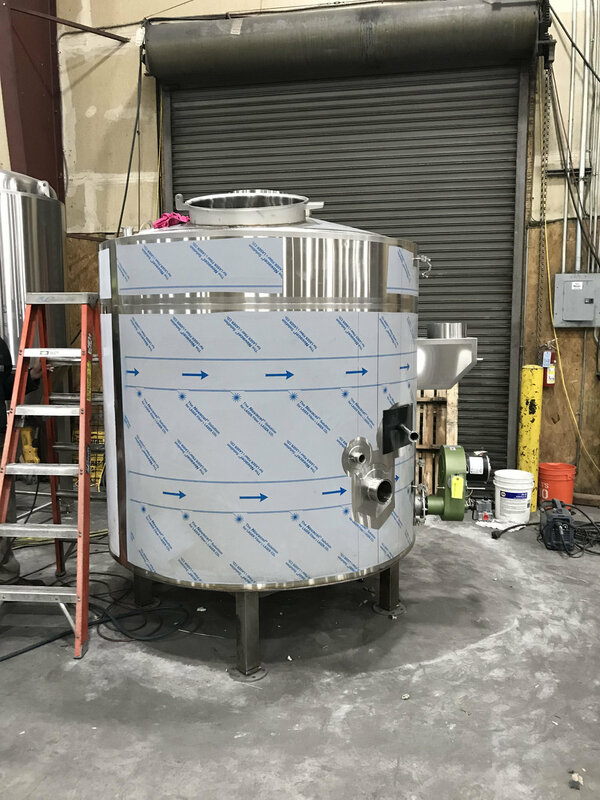 We previously built five 60 BBL fermenters for NCBC as well as two 30 BBL and two 60 BBL stacked lagering tanks (to see photos click here). We would also like to congratulate Neshaminy Creek on winning two bronze medals at the 2016 Great American Beer Fest held last week! They won medals for their Churchville Lager and their German Rauchbie called Croydon is Burning. To see a full list of 2016 GABF winners click here. 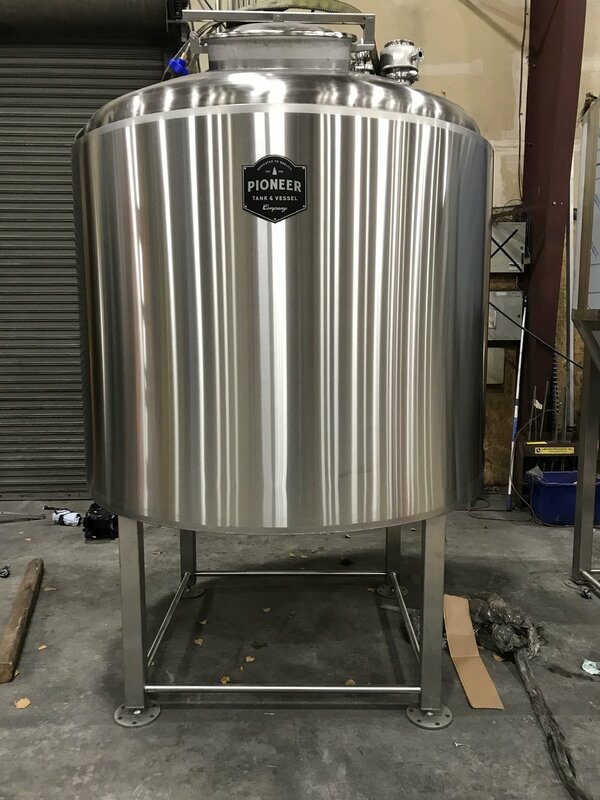 We finished building these 10 BBL fermenters for Oddwood Ales. The customer had a height restriction for the tanks, so we designed them to be shorter and therefore bigger around. All of tanks are custom built, so we can meet size restrictions, tank requirements, and any design needs of our customers. We love making our customers happy! 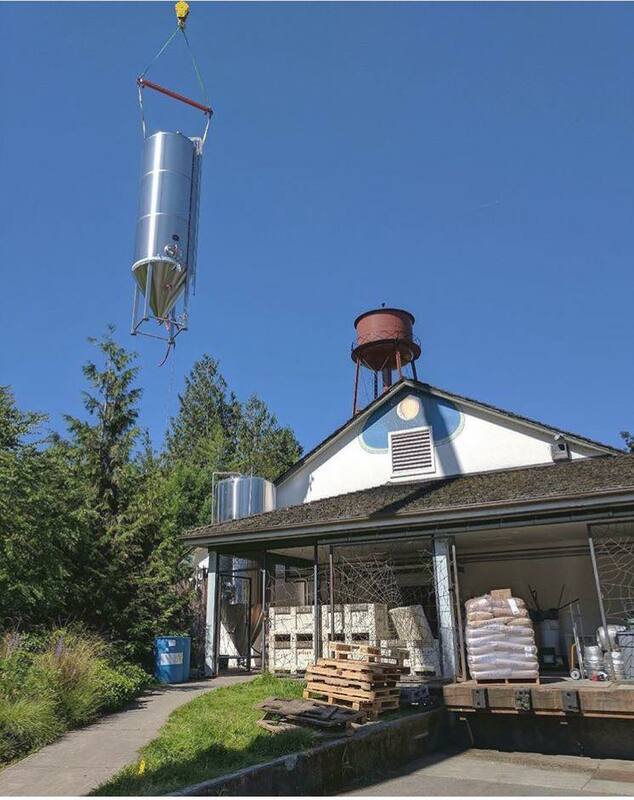 Yesterday our friends at Timber City Ginger Beer drove down from Seattle, Washington to pick up their 7BBL fermenters from our streamline series. We recommend you try out their ginger beer if you get a chance. It's delicious! 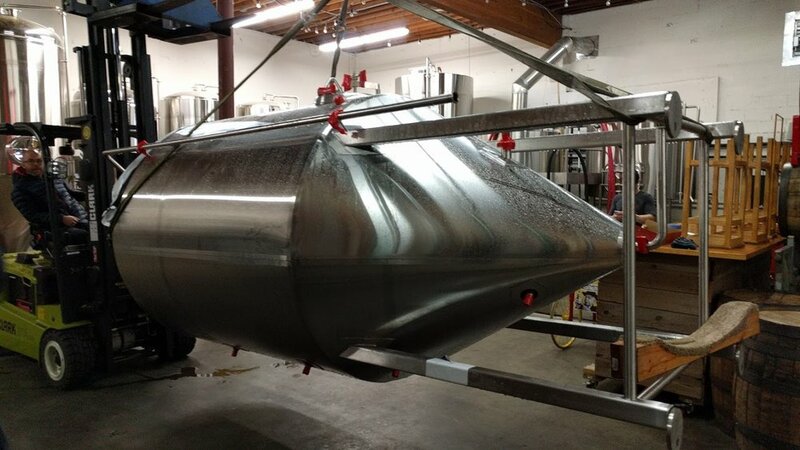 Photos from Kevin's trip to Burbank, CA this week to visit our tanks at Lincoln Brewing and deliver some extra parts. There are a lot of fermenters on the floor this week. 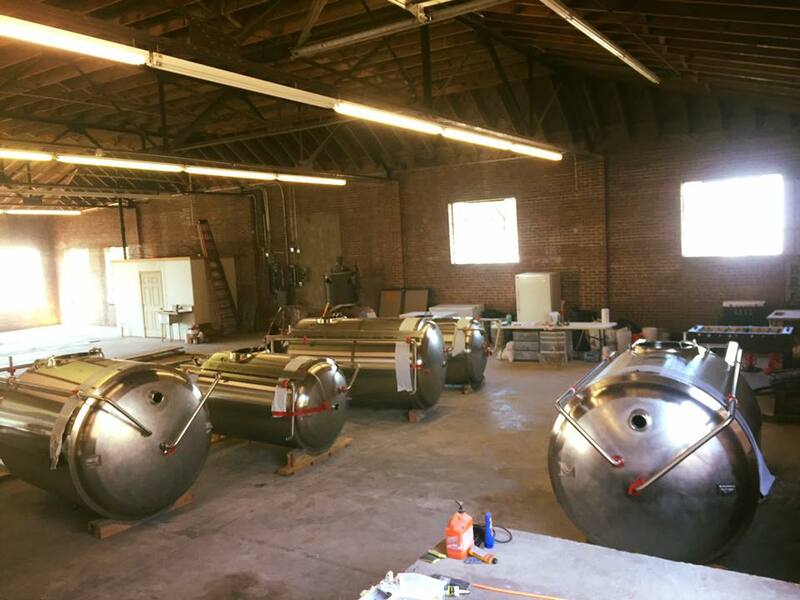 Pictured are 10 and 15bbl tanks. Check out photos of previous fermenters we've built here. We recently shipped a 15BBL steam system and cellar tanks to Lincoln Beer Company in Burbank, California. If you would like to see more photos of their tanks, click here. Fourth of July fireworks came early here at our shop. Check out this video of Trent working on a 15BBL fermenter cone. More tanks out the door this week! 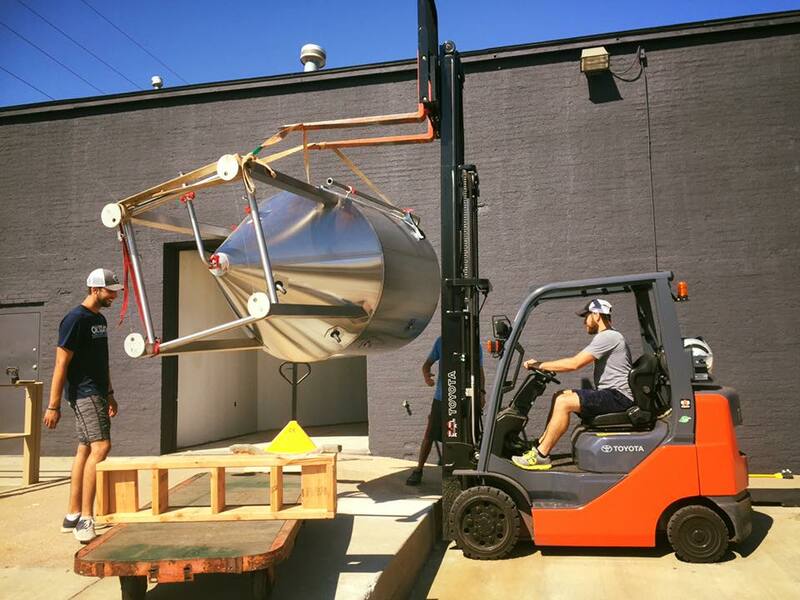 We sent a 7BBL brewhouse over to Like Minds Brewing in Chicago, Illinois. Scroll through the photos below, or click here to see more detailed pictures. Today we delivered a 40BBL and two 80BBL fermenters to Alameda Brewing. Alameda is a Portland brewery, and we love being able to work with other local businesses! Try out their beer if you're in town. Cheers! Check out photos from around the shop this month. Pictured are 40 and 80BBL fermenters for Alameda Brewing, 7BBL fermenters for Elgin Park Brewing, and a kettle and hot liquor tank for Techniblend. 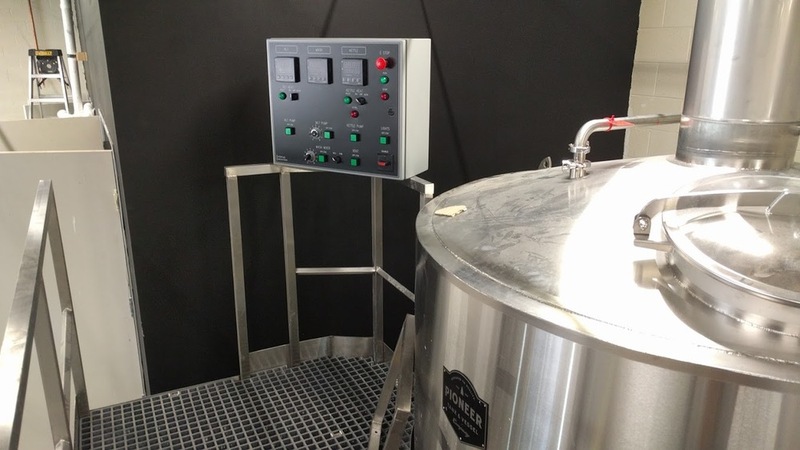 We were thrilled to build a 20 BBL steam brewhouse for Terre Haute Brewing Company. The video below shows the first batches of Hock Bock and Stiffy Green IPA being brewed on Pioneer's tanks. Terre Haute Brewing Co.'s grand opening is May 7th, 2016. We just shipped a 100 BBL fermenter to Great Northern Brewing Company in Whitefish, MT. Check out this video of the tank installation. You're going to love it.